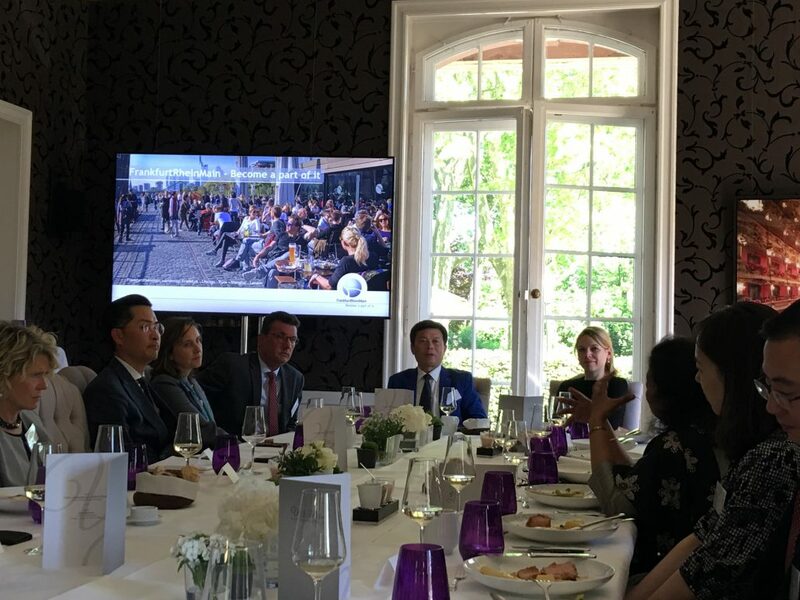 Board Members of the German Australian Business Council, Peirui Tan and Sabine Pittrof, attended an expert briefing to Frankfurt’s international community on Brexit on 7th May 2018. Corporate Member Frankfurt Rhein Main GmbH International Marketing of the Region had invited representatives from the Consular Corps and the International Trade and Investment Commissions and Associations to “bust” some myths about Frankfurt and the Rhein Main Region, showcasing this central German hub’s capabilities and readiness for companies taking refuge from Brexit. Congratulations to Frankfurt Rhein Main on a successful event and thank you for all the good work you are doing for the City, the region and Germany in the broader sense.